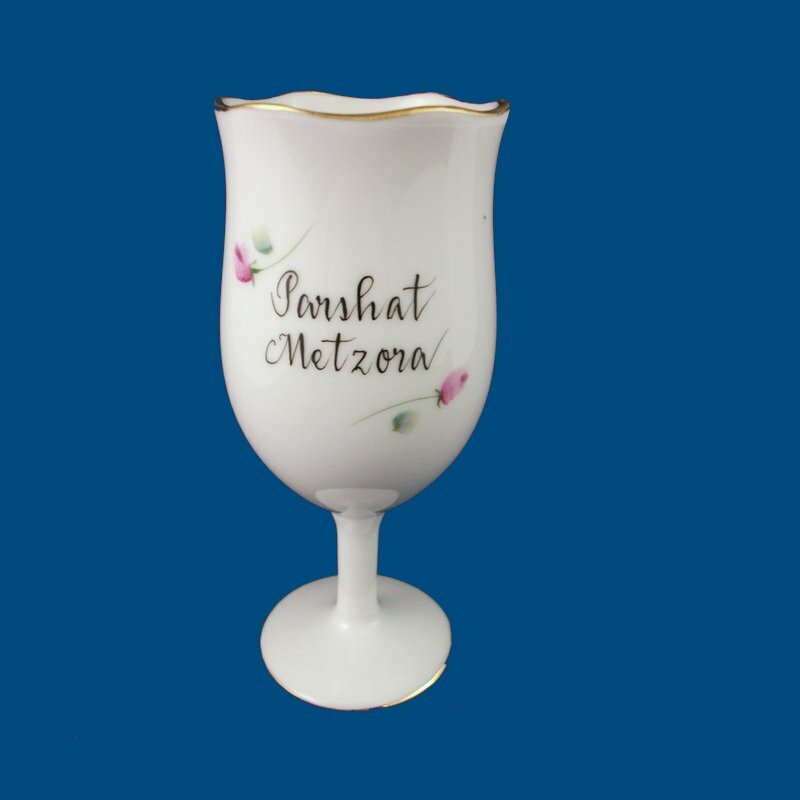 Our personalized hand painted porcelain Bat Mitzvah kiddush cup is a beautiful gift and will be a treasured keepsake for the bat mitzvah girl. Our scalloped kiddush cup is trimmed in 18 karat gold and is hand painted with your choice of design. 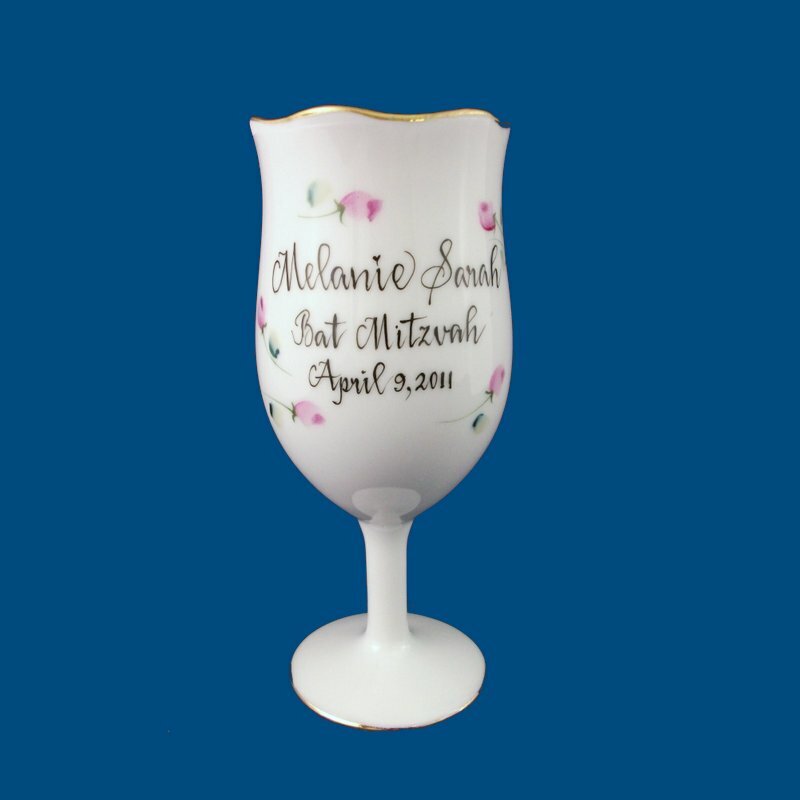 We personalize the front of the kiddush cup with a first and middle name, Bat Mitzvah, and the date. If you would like the Hebrew lettering on the kiddush cup, please go to our other site, www.finejudaica.com to order. On the back, we can hand paint the name of the Torah portion. A short personal message can be hand painted on the bottom of the kiddush cup. For example, "Mazel Tov and best wishes! Love, The Schwartz Family. A gift box with tulle ribbon and enclosure card is complimentary with your purchase.